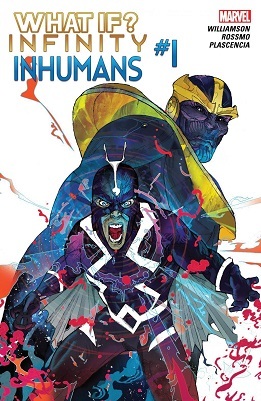 I'm pretty sure that's now how Black Bolt's voice works, but its still pretty cool. I thought it's still at least partially sonic in nature? In some occasions, yes. It's not been consistent since ever, but his electron manipulation was just said to be tied to his vocal cords, or language centers, or whatever, not enhancing them. And even when it's portrayed as sonic his whispers are, well, whispers even though they are as destructive as they are. That doesn't sound (bardon the pun) like sound was the basic component there. I've seen it explained as being psionic, his scream is how that power manifests, and the tuning fork on his head is a focus. His son Ahura inherited the same psionic power from him, it manifests as an 'evil eye' Ahura can give people with concentration, so much easier to handle than an overpowered whisper. 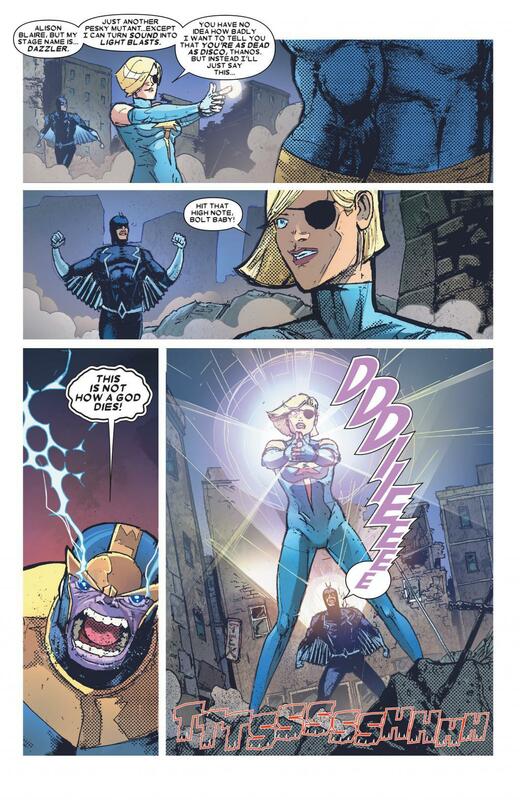 This isn't the first time Black Bolt has powered-up Dazzler. They worked together WAAAAAAAY back in her original series, against the Absorbing Man. So this has historical precedent. That's a Double Tech for ya. I kind of love how incredulous Thanos is. "Really this is how I die? This?! Because of ****in Dazzler?! I destroyed the universe once!" This reminds of when Dr Doom met Klaw during the first Secret Wars and learned he had decided to pick a fight with Dazzler. 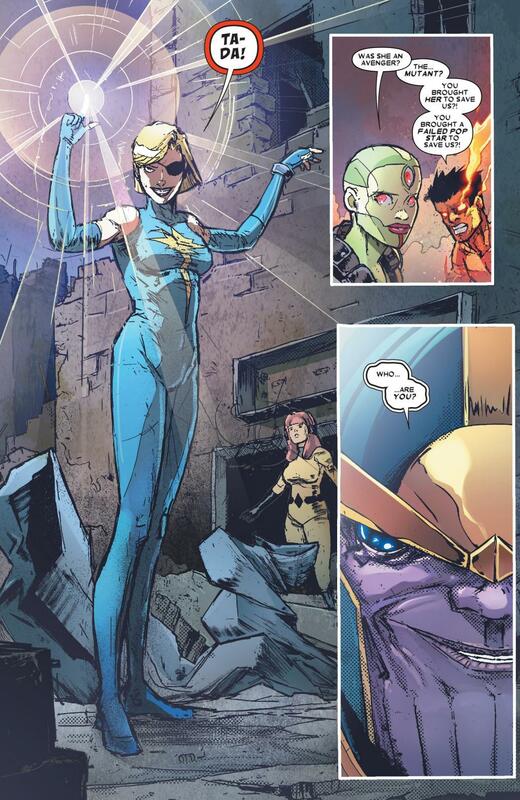 She used that power-up to zap Galactus. 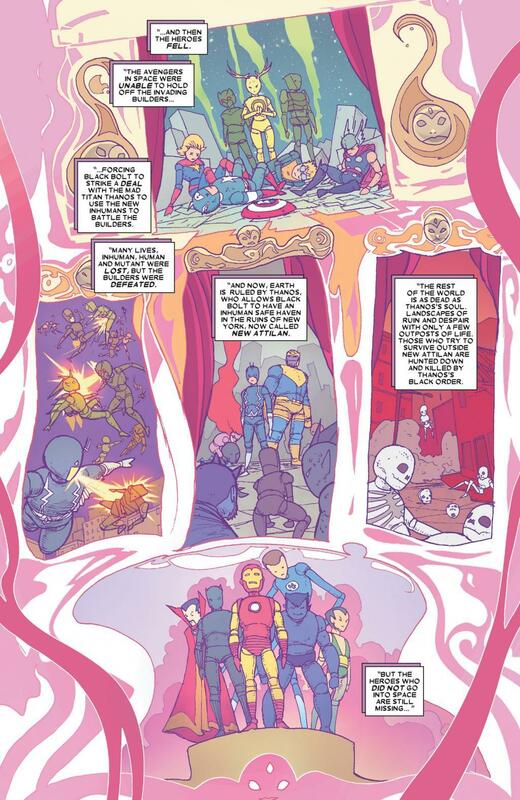 That issue where she zapped Galactus was pretty awesome, too. 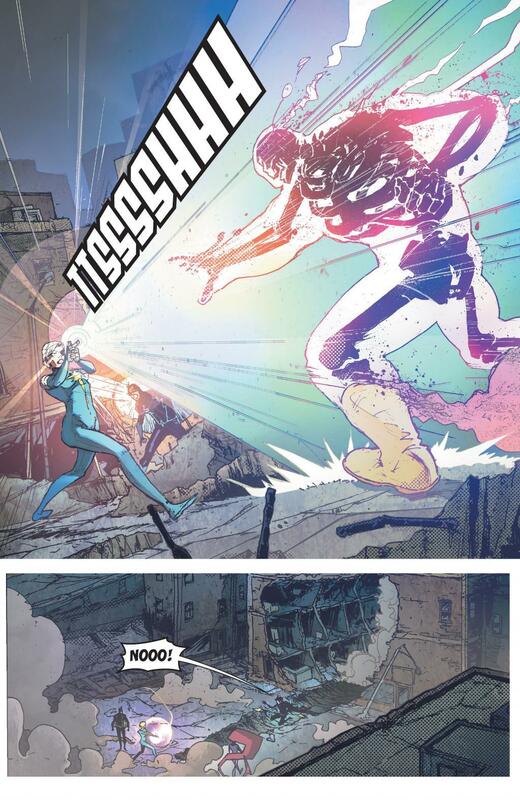 It established that Dazzler has no limit on how much power she can absorb, so Galactus bombarded her with sound until she was at a cosmic level and sent her into a black hole to fetch Terrax. I've always liked Dazzler as a character, so it's just fun to see her get to shine (forgive the pun).